Join us for regulatory updates, discussions on work force issues, and more! For reservations, call (800) 233-1234 and mention "SLMA" by February 13 for the discounted rate of $227.00 per night. 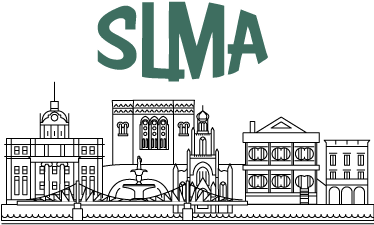 PLEASE NOTE THAT THE SLMA ROOM BLOCK IS SOLD OUT! Click here for 2019 Spring Expo Information! VENUE CHANGE!! Join SLMA for drinks & dinner at the Georgia State Railroad Museum. Transportation will leave from the front drive of the Hyatt Regency at 5:45 PM. NOTE: If you are already registered for this event, there is no additional action needed. Katie Juhl of "Wood. It's Real"